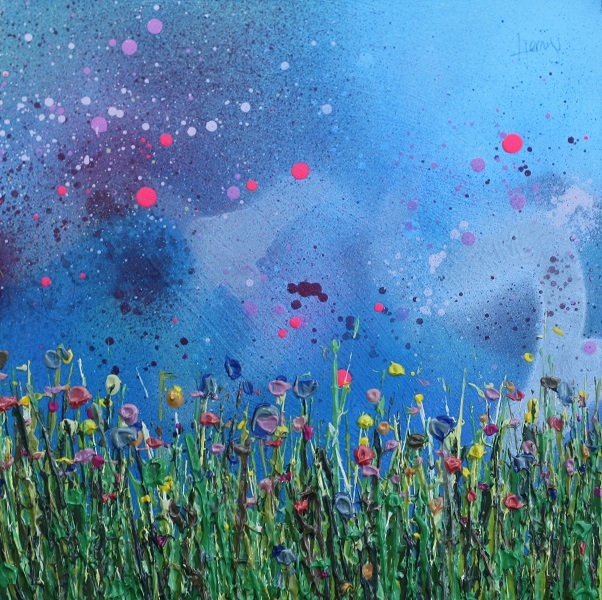 Lee Herring is a contemporary painter specialising in colourful, textured and abstracted landscapes. He was born in Sunderland, in the North East of England and has always had a creative streak. After excelling in art throughout his early education, he went on to study Fine Art at the University of Chester. It was here that Lee discovered his love of painting and began to develop his painting style. After 3 years, he graduated with a First-Class honours and was awarded the coveted University prize. He had the confidence to continue his practise and focused his attention on daily painting sessions in the studio. Emerging from the years of dedication was his own unique style and Lee Herring Art was born! Gallery representation soon followed and his distinct paintings were exhibited up and down the country. Successful sell-out shows attracted the attention of international collectors and he now exhibits all over the world. 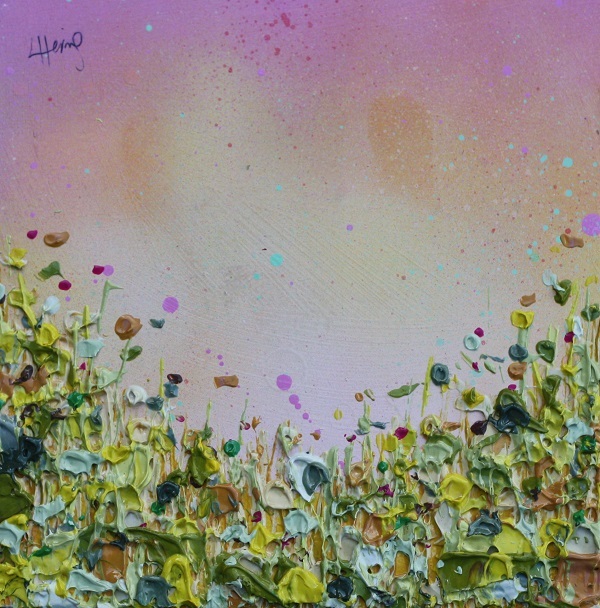 Lee Herring's style is constantly developing and he has a strong following of investors and reputable galleries. 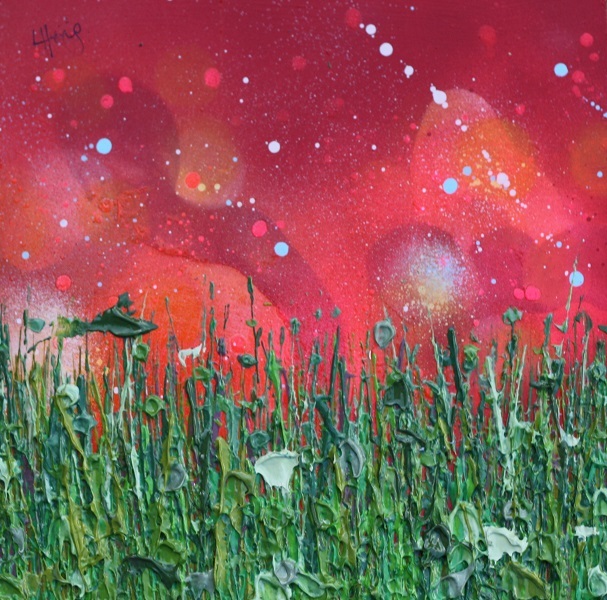 His contemporary abstract landscapes are colourful, textured and full of life. They are inspired by his every day, normal life! Things you and I wouldn’t notice... he draws inspiration from. Countryside strolls, posters, textiles, sunsets, transport, the list goes on. He captures snippets of colour and memorises details from fleeting scenes. 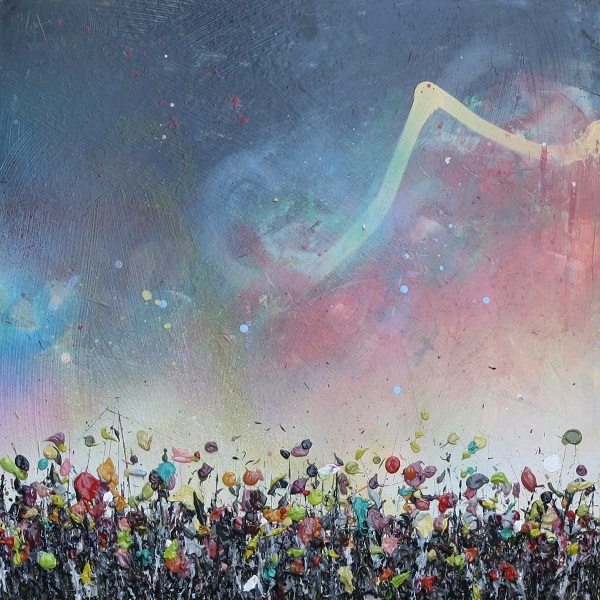 He uses spray paints, markers and acrylics to create layers of textured backdrops. Bold layers are manipulated to reveal hidden chinks of buried colour. Each painting evolves in a free-flowing, spontaneous process, with every mark influencing the next. Lee Herring's paintings could literally go in any direction. Pallet knives, trowels and scrapers are his main tools. Brushes are banned! This allows for a really loose and energetic application and he is continuing to push contemporary boundaries. Layer upon layer upon layer is built up, creating the abstracted and expressional more than representational. 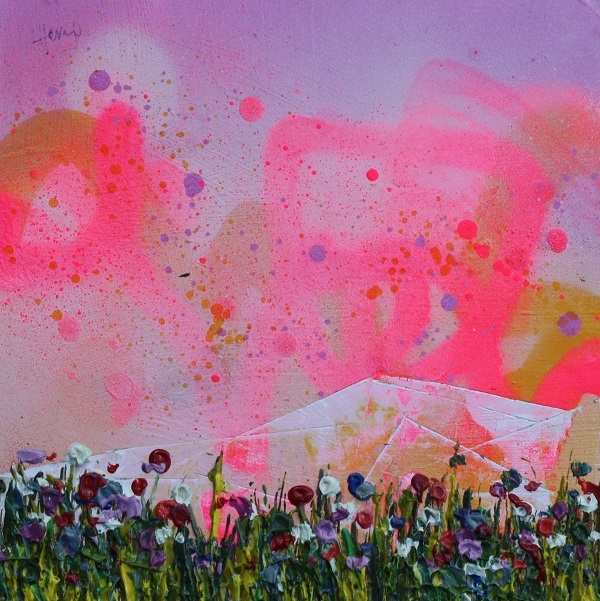 Splashes of neon spray and blobs of pastel shades create his unique, signature style. 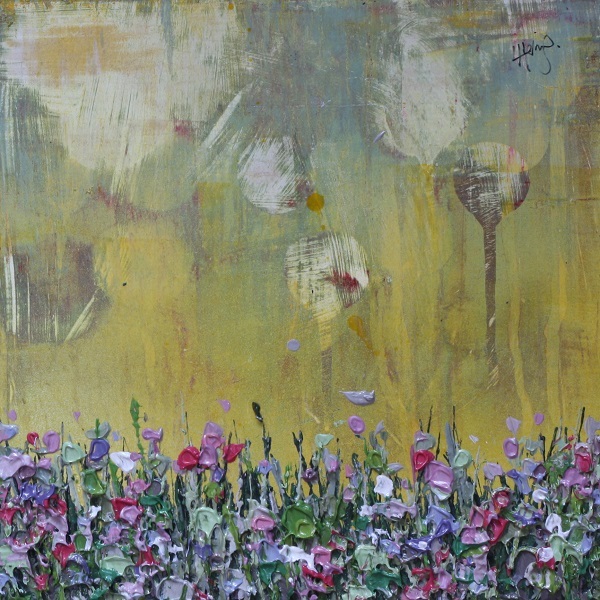 Thick, impasto texture pops from the surface casting shadows and intrigue. 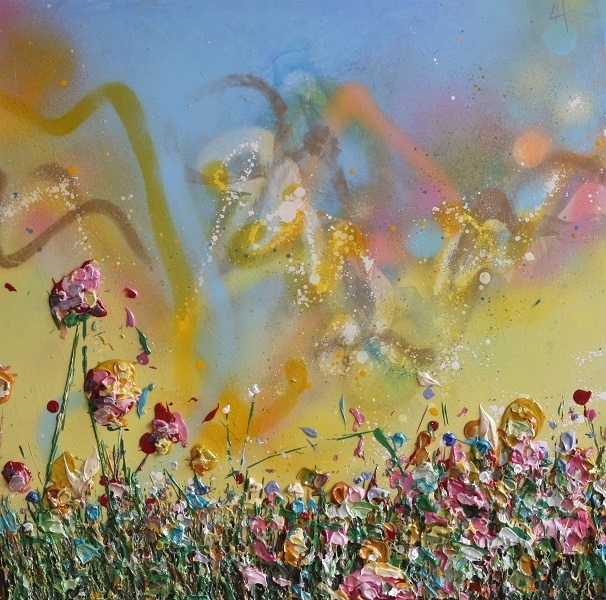 Finishing each original painting with a varnish glaze seemingly highlights his love, exploration and explosion of colour! Check out Lee Herring's graffiti wallpaper feature in The Guardian.